Bobbi Hartshorne, Head of Career Guidance and Partnerships at Laimoon.com Bobbi has over 8 years of experience in course guidance in the UK and UAE. She can support you with finding the right course to suit your career ambitions. Founded in 1969, Project Management Institute (PMI) is the world's leading professional association for the project management profession. PMI supports more than 2.9 million professionals working in nearly every country in the world. PMI hosts a number of professional qualifications, most well-known of which is Project Management Professional (PMP). You can discover PMP course providers in the UAE with Laimoon. Project Management Professional (PMP) is the most highly-valued industry-recognized certification for project managers. Globally recognized and in high demand, the PMP demonstrates that you have the education and competency to lead and direct projects. PMI produce a very comprehensive handbook to tell you about the qualification in much more detail. 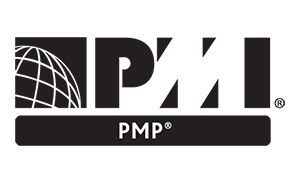 Holders of the PMP credential tend to see an increase in salary. For the GCC in particular the demand for qualified PMP personnel is very high and thus the job market and job-prospects in this region remain buoyant. This salary survey may be of use to those in or looking to join the profession. The Laimoon infographic from October 2013 gives a nice snapshot of the market. Who should complete the PMP? The PMP qualification is designed for experienced project managers looking to solidify their skills, stand out to employers and maximize their earning potential. For those newer to the profession – you may consider Certified Associate of Project Management (CAPM) also from PMI. Those seeking to enter the profession will find this insight from successful project managers useful. Examination You will be required to complete some projects and coursework. You will also be required to sit an exam of 200 questions, based on a computer. The exam takes 4 hours and they are available very frequently. The test can be offered in English, Arabic and many other Languages. A secondary degree (high school diploma, associateâ€™s degree, or the global equivalent) with at least five years of project management experience, with 7,500 hours leading and directing projects and 35 hours of project management education. Certification Details PMP is accredited by the American National Standards Institute (ANSI) against the International Organization for Standardization (ISO). It is recognized and valued worldwide. Intake Courses run regularly with monthly sessions available and prepare you for exams which can be taken several times per year. Price Range The price of the listed courses range from AED 2,300 to AED 4,500. Duration The qualification typically takes 30-40 hours over either weekends, evenings or a full-time schedule of up to 5 days. Timings Weekend, weekdays, evening, afternoon, and morning classes are available at different institutions. Online options are also available for those who can't get to the classroom. PMP Courses in the UAE can be found at Laimoon.